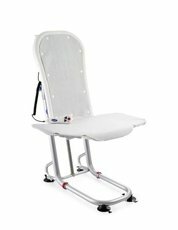 These powered patient lifters are perfect for transfers from bed to chair, chair to bath or commode, and will save the caregivers back. The smooth, quiet transfer of a power lifter reduces patient anxiety and provides more focus on the person being lifted. Electric patient lifts come with powerful rechargeable batteries. 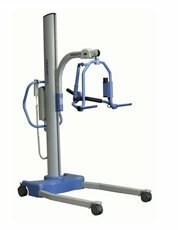 Standing Lifts are designed for secure patient transfers as well as supported walking. The ultimate solution for worry free transfers between beds, wheelchair or commode. Stand Up Lifts help prevent caregiver injuries. 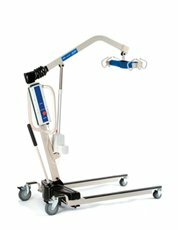 Ideal for use with weight bearing or fully dependent patients as well as those rahabbing. 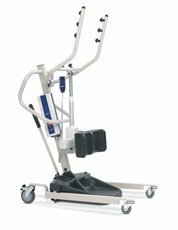 Designed to meet the special needs of your patients weighing 600 to 850 lbs. 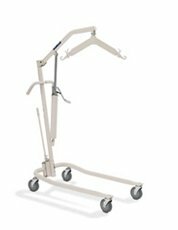 These powered patient lifters are perfect for transfers from bed to chair, chair to bath or commode, and will save the caregivers back. This lift requires a sling that is offered in many diffrent options, full body, u-sling and toileting. 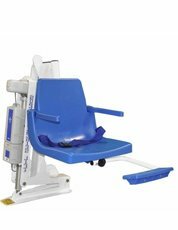 These hydraulic patient lifters are perfect for transfers from bed to chair, chair to bath or commode, and will save the caregivers' back. The smooth, quiet transfer of a power lifter reduces patient anxiety and provides more focus on the person being lifted. This lift requires a sling that is offered in many diffrent options, full body, u-sling and toileting. A bath lift is a battery operated or water powered seat that fits into a bathtub. Bath lifts lower a person into the water, then raise him or her out of the water when the bath is over. Many elderly people and those with mobility problems find that using a bath lift gives them a feeling of independence as well as safety. Bath lifts are lighweight and easy to transport. Research has proven that aquatic exercise is of benefit to everyone, particularly those with limited mobility. Pool lifts make this exercise possible for all. These lifts provide access to activities in the water for everyone, including those who deal with physical challenges. We offer both ADA compliant lifts for commercial use & manual lifts for personal.